Today, almost all hotels provide wireless Internet to their residents. And no wonder why – Wi-Fi is more important to guests than parking, good location or even continental breakfast, a research in the US shows. 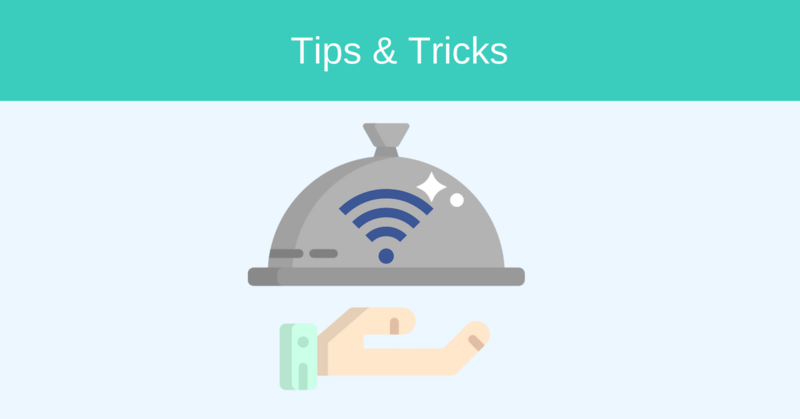 Wi-Fi connections usually require you to enter information like the room number you are staying in and a password that has been provided for your particular room. Smaller hotels tend to have one password for all the rooms. Most often, authentication step before establishing a connection is avoided, making the internet connection completely open. In both cases, even if the authentication is put into place, the connection can be easily intercepted and breached. Since hotels usually have a lot of people staying in their rooms at any given time, this makes you vulnerable to data snooping and/or serious hacking by someone else in the hotel. Hotel Wi-Fi security is pretty lax. Open Wi-Fi connections makes them really open to attacks, such as identity thefts and data snooping. Anyone can monitor your Internet activity when you are using an open network. One does not even have to be really knowledgeable in hacking to snoop on your Internet activity as there are software like Wireshark that makes it absolutely easy to spy on someone’s online traffic on an unsecured network. Open networks do not use any kind of encryption for the data you receive and send on the Internet. The usage of plaintext messages, i.e. messages without any sort of encryption, makes it really simple for anyone snooping your activity to read those messages. This makes open Wi-FI networks of hotels hotel susceptible to hacking attacks. Most websites on open networks do not use a secure protocol or an ‘https’ URL, which makes monitoring one’s activity on those websites a piece of cake. So, sending sensitive information over such Internet connection is a recipe for disaster as anyone can intercept and read that personal information. Since hotel Wi-Fi security is pretty much non-existent, it is responsibility of a guest to protect himself or herself from possible data snoopers. There is a simple encryption method that can be used by anyone: using a VPN. VPNs, or Virtual Private Networks, connect you to the Internet through an encrypted tunnel. A connection between your system and any website is established via an alternate path than the Internet service provider would take you through, namely, the connection is made through a VPN server which encrypts your data. This VPN server acts as a relay between the Internet and your system. The website interacts with the VPN server, and the server interacts with your system. Since the interaction between the VPN server and your system in encrypted, nobody can see which website you are browsing or what data you share online. All they can see is that you are connected to a VPN server. VPNs provide security and privacy thanks to their encryption functionality. Both of these are required when using a public Wi-Fi network in a hotel. A VPN service is a great tool for travellers in general: by choosing a different server location, your IP address is hidden and new one is assigned, so you can bypass geo-blocked content and access restricted online services wherever you are. It is almost certain that a hotel you are staying in uses an open Wi-Fi connection, making you highly vulnerable to data theft while you are using it. Luckily, using a VPN can help you protect yourself in this situation. NordVPN provides great connection speed, unlimited bandwidth, is available on up to six devices under one account simultaneously and has outstanding global coverage.